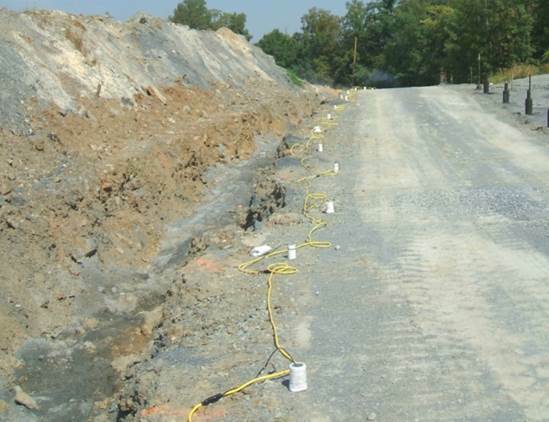 Crist Geoscience LLC used AGI equipment in 2008 to monitor the streaming potential (SP) of an open-pit aggregate mine in Hummelstown, Pennsylvania. Note that SP stands for different things: streaming potential, self potential, or spontaneous potential—but it all means the same thing. If you put two electrodes in the ground, separated by some distance, and put a voltmeter in between you will read a voltage in the ground. 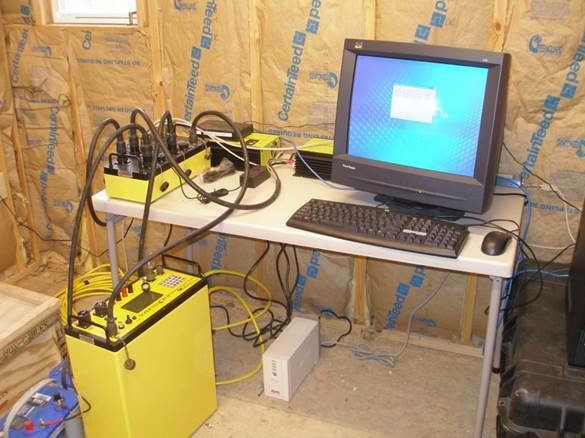 In mineral exploration, SP is used to detect mineralization in the ground. That can give very strong voltages, and they’re always negative. In this case, SP is most often referred to as self potential or spontaneous potential. In hydrogeophysics, we’re talking about streaming potential. When water moves in the ground, it goes through porous areas, and the friction between the water and mineral grains causes a voltage. The purpose of this exploration was to monitor SP along the rock face of a quarry. The quarry is limestone—a hard rock—so water could only run through it in places where the rock was fractured. To move forward with drilling, Crist needed to find those fractures, which meant finding the fractures which formed a pathway for the rainwater pooling at the bottom of the quarry. . With the information gathered through SP monitoring, the fractures could be identified for future drilling. 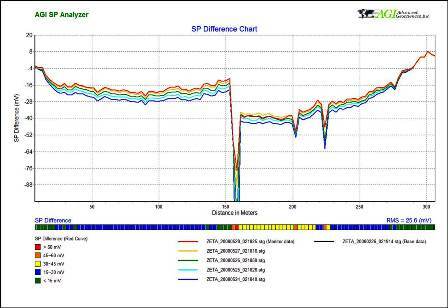 112 non-polarizable electrodes were buried 9 feet apart along the top of the quarry rock face and connected to a SuperSting™ R1 system. 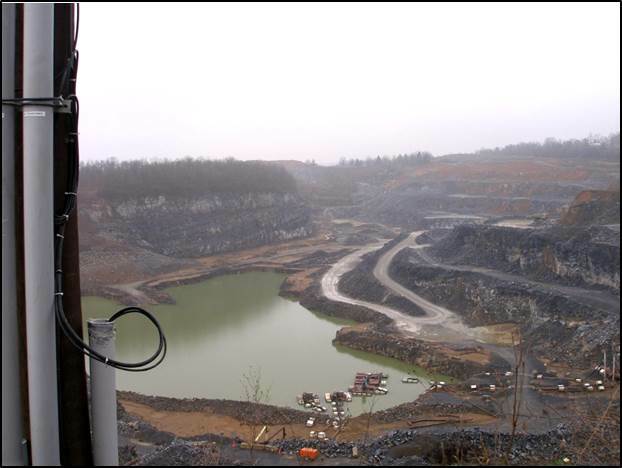 Automatic measurements of the streaming potential (SP) were taken every night to avoid electrical disturbances from activities in and around the quarry during daytime. This data was automatically sent to analysts at the quarry for further testing. As water subsided into the ground during and after each rainstorm, the SuperSting™ picked up three anomalies. These anomalies indicated the location of the fractures the water followed into the quarry. After analysis, clients at the quarry were able to identify these definite paths. Unfortunately, the quarry closed soon after the survey was completed. Ideally, the survey would have allowed the client to drill down and seal the fractures with concrete. So while this didn’t solve this customer’s problem, it shows very clearly how you can detect underground water flow.